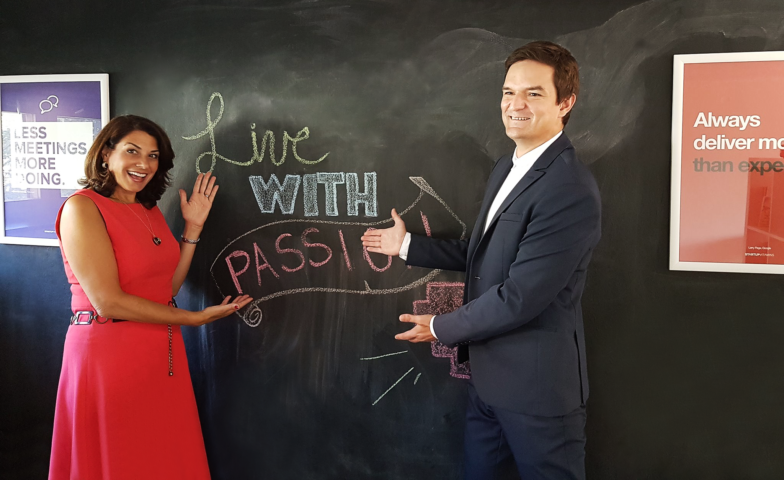 UX Passion’s CEO, Vibor Cipan, recently hosted US Ambassador to Croatia, Julieta Valls Noyes, during her visit to UX Passion’s office in Zagreb. Croatia and the United States are close allies, and their mutual relationship is strong. Numerous companies from Croatia are involved in doing business with their clients in the USA and vice-versa. At UX Passion, USA market is our principal export market, and the majority of our customers are incorporated there. UX Passion sees the US market as the primary driver of our growth in the future, and we strategically position our expansion plans around the US market. Madam Ambassador was interested in learning more about UX Passion’s business relationships and what challenges and opportunities we see in the US. Her visit also served as an opportunity to emphasize common and shared values between our two countries in general but also between entrepreneurs in both countries. During the tour of the company, Madam Ambassador met with UX Passion’s employees and in a very direct and friendly manner talked about the innovations that UX Passion is delivering to global markets and specifically to the US. Ambassador was presented with key technology innovation and user experience design efforts that UX Passion is delivering worldwide. UX Passion’s CEO, Vibor Cipan noted that “this visit comes at the great time as we are getting ready to increase our growth and services export to US market. With the exciting new technologies that we have been working on for several years now, some of which we showed today for the first time to someone who is not a member of UX Passion team, we have an excellent opportunity to bring our two countries even closer. From technologies related to social web, intelligence and security analysis, artificial intelligence and machine learning to new design paradigms and design thinking in the context of ever-changing media, we have the privilege to live in the most exciting times in human history “. After the tour, Madam Ambassador and UX Passion’s CEO engaged in a productive and pleasurable meeting and discussed very concrete steps and course of future joint and partnership actions. Julieta Valls Noyes, a career member of the Senior Foreign Service, was nominated by President Obama as US Ambassador to the Republic of Croatia on March 26, 2015, and confirmed by the Senate on June 24, 2015. She previously served as Deputy Assistant Secretary, Bureau of European and Eurasian Affairs at the Department of State, where she was responsible for managing relations with the European Union and Western Europe. Ambassador Noyes speaks Spanish, Italian, Portuguese, and some French. A graduate of Wellesley College, she has a Master’s Degree from the Eisenhower College of the National Defense University. She is the recipient of numerous Superior and Meritorious Honor Awards. She is married to Nicholas Noyes, Jr., a retired Foreign Service Officer, and they have three children. The Ambassador is also a very prolific Twitter user, and you can follow her at her Twitter profile @USAmbNoyes.